We offer Pay-Per-Click Search Engine Placement and Management in major engines such as Google and Yahoo. Let us install tracking tools to measure your success. Links from external websites to your website are one of the major criteria used by top search engines in developing their rankings. We offer Local SEO for Google Local/Maps, Yelp and other local search engines. We also provide submission service to 100+ local yellow pages. Submit your website to thousands of search engines, directories and links pages. More importantly, our trained staff will analyze your website and advise you on improvements you can make to rank higher. Details. Foreign language search engine marketing is becoming increasingly important for both international companies and domestic businesses who wish to establish a greater presence on foreign language search engines in the U.S. and other countries. With foreign language or international SEO from Submit Express, your website will be made search engine-friendly through the same techniques we use to optimize English-language websites. We currently offer Spanish, French and Russian SEO. Reputation Management (aka Negative Suppression Service) helps companies eliminate or reduce the damage caused by negative Internet postings that are ranking highly on searches for their company, brand names or individuals associated with the organization (such as the company president). Studies have shown that an overwhelming majority of consumers visit blogs, forums, video search engines, and other social media sites to obtain information about an online retailer before they purchase its goods or services. In other words, without active social media management of your brand and reputation, traditional marketing strategies will have little impact on your online audience. "Content is King" is a phrase that's often heard in the world of search engine optimization, yet all too often, SEO and Internet marketing companies produce content that is poorly written and too narrowly focused on the attainment of high search engine rankings. A great landing page design could make a huge difference in success of your pay-per-click advertising campaign. Click above to read more and check some of our examples. 100% No Spam, Targeted Opt-in Email Advertising Services. Pick from hundreds of categories and demographics. We will send the emails on your behalf. 100% subscription based. 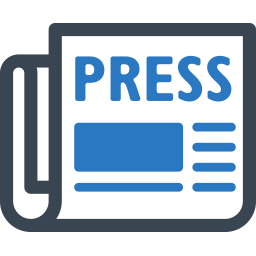 Enhance your product/service visibility, create branding and increase traffic to your website with a Submit Express press release. Publicity is the most cost-effective marketing tool and it's the only part of a marketing strategy that builds credibility. We offer two newsletters available for advertising, targeted to webmasters and website owners.